Sony has released a new PlayStation VR bundle this week which now includes a camera which would have previously cost you $59. Enabling you to grab everything you need for full immersion using the PlayStation VR platform. 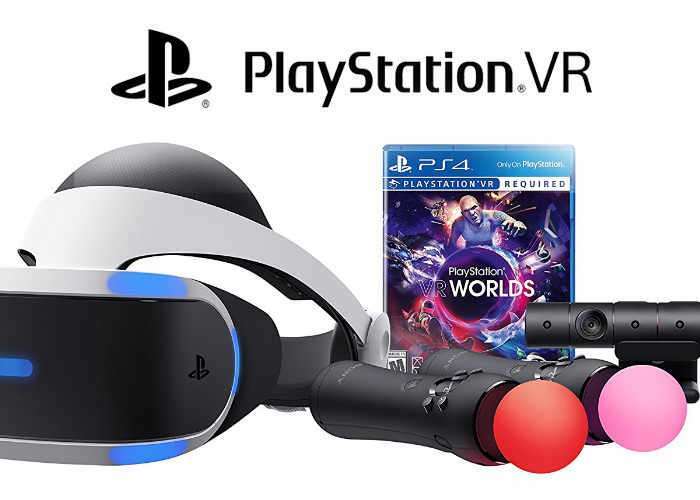 The latest PlayStation VR bundle is now available from online retailers such as Amazon priced at $500 and includes a PlayStation virtual reality Worlds demo disc, PlayStation VR headset, hand controllers, camera and all cables required. – Games Come First. With gamers in mind, PlayStation delivers a new world of unexpected gaming experiences through PlayStation VR. Play some of the most highly anticipated titles coming soon to PS VR. – Just Plug and Play. Getting into PlayStation VR couldn’t be easier. Just plug the PlayStation VR headset and your PlayStation Camera into your PlayStation 4 system. You’re ready to go. – Advanced VR Display. Seamless visuals keep you connected to the virtual world through an expansive 5.7” OLED 1080p display running at up to 120 frames per second.